Located right in downtown Ann Arbor, within walking distance of the University of Michigan’s central campus, Arbor House is a popular condo choice. There are currently no units listed for sale and so far this year, no condos have sold. Because of the small size of this building, condos rarely come up for sale. To learn more about Arbor House or any downtown Ann Arbor condos, contact the real estate specialists with The Bouma Group today at 734-761-3060 or email info@bouma.com. 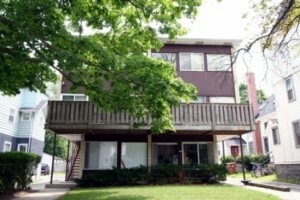 Arbor House condos have one of the best locations, right in the heart of downtown Ann Arbor. Because of the small number of units in this community, a limited amount come to the market for sale. At this time, there are no units for sale and none have sold so far this year. 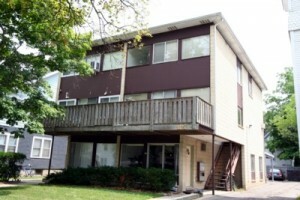 2 units sold in 2009 with an average price per square foot of $177.54. 676 square feet with 2 bedrooms and 1 bath. Sold for $117,500. 662 square feet with 2 bedrooms and 1 bath. Sold for $120,000. If you’d like to know more about these sought after Ann Arbor condos or receive instant notification of new listings at Arbor House, contact us today at 734-761-3060 or info@bouma.com. For instant listing information and sold data for any Ann Arbor condominium complex, visit the Ann Arbor Condohotline.